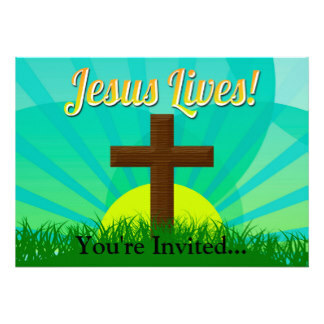 We invite you to celebrate the Easter season with us. At Easter time we emphasize the Death and Resurrection of Jesus Christ. Through His sacrificial death He purchased our salvation and through His Resurrection we rejoice in the miracle of a new life eternal. This week we will honor His sacrifice with four services. Maundy Thursday Service, 4/17 – 7:00pm –On this night through Holy Communion and with the singing of traditional hymns we remember and celebrate the Last Supper that Jesus shared with the Apostles the night before he was crucified. Good Friday Service, 4/18 – 7:00pm – At this service Parishioners share the meaning of the 7 last words Jesus spoke from the cross. Sunrise Service, 4/20 – 6:30am (Griggstown Cemetery) – We will celebrate Jesus rising from the dead by singing songs and enjoying a short performance that will portray the resurrection of Jesus Christ. Easter Morning Service, 4/20 – 11:00am – We will worship together through song, prayer, scripture and a message that will remind us of what an amazing gift we were given that that first Easter Morning when Jesus rose from the dead to save us from our sins. This entry was posted on Tuesday, April 15th, 2014 at 9:43 am and is filed under Church Updates. You can follow any responses to this entry through the RSS 2.0 feed. You can leave a response, or trackback from your own site.